Bob Davies Free Videos for Life insurance agents. Your attitude and your results are directly related to your behavior. Learn the secret. These Bob Davies Free Videos on behavior management can help you manage your behavior patterns, when it comes to getting organized, prospecting and selling insurance. Behavior management is really what determines our success. Bob Davies, named in the top 100 greatest minds of personal development world-wide by Excellence Magazine, has agreed to provide a special series of 5 free videos on the number one reason for life insurance agent failure and the poor performance patterns many agents face. The benefit to our community of insurance agents, readers and subscribers is that the information in theses 5 free videos may help you recognize what your biggest detriment is, which stops you from reaching and attaining your dreams. Below is Bob's video number one. If you want to learn more after watching this first video, complete the request form below to receive the other four Bob Davies free videos. We would like to send you our free insurance selling and and recruiting tips that we send out once or twice a month, You can opt out at any time. If you sign up today we will also send you a free video on how to triple your sales closing ratio. I understand that you will only use my information to send me a newsletter. To learn more and receive the the additional 4 free videos, you must enter your first name and e-mail address below. YES - Send me the other 4 free videos. I want to learn more. Bob is a professional speaker, author, trainer, and coach. He spends much of his time, 70+ times per year, speaking about the principles in these video presentations to a variety of organizations. After viewing these free videos, and for those of you who are serious about wanting to become better at what you do, Bob has available a specific coaching program that can be tailored especially for you to help you achieve many of your goals in generating insurance leads, prospecting, selling insurance, as well as getting organized. 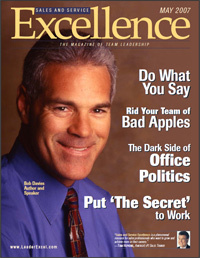 Many companies are using Bobs techniques to change the culture of their companies and to greatly increase performances. Bob's client list is very impressive.